You’re invited! Please join the Pacific Crest Trail Association, High Cascade Forest Volunteers and the staff from the Willamette and Deschutes National Forests at the annual Allingham Trail Skills College. This training weekend is designed to train new and returning volunteers in a variety of topics regarding trail maintenance and stewardship. Come meet like-minded community members who are committed to maintaining and providing quality recreation experiences in central Oregon. This training event is offered free of charge in an effort to inspire citizen stewardship of our trails. Camping and meals are also provided at no cost throughout the weekend. 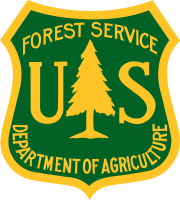 In exchange, we ask participants to donate at least 16 hours volunteering in the coming year on the many projects hosted by the High Cascades Forest Volunteers and the Pacific Crest Trail Association. What classes are available and how do I register? The complete class list is available here and online registration opens Friday, March 1. Register now. All the details for Allingham Trail Skills College are on the High Cascades Forest Volunteers website.